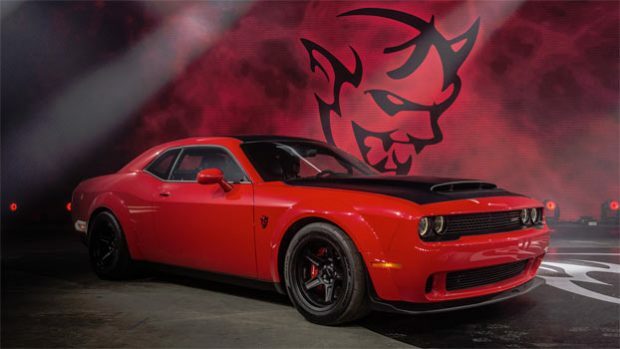 The 2018 Dodge Challenger SRT Demon is a street legal dragstrip vehicle, with an incredible 840Hp(626 kilowatt) top power range. With so much power the company want to make sure that customers know what they are doing or at least getting, but also to cover themselves they want owners to sign a Disclosure Form of 3 pages which highlights things such as ‘Customer shall never use any “Track-Use” features on public roads or any prohibited area’. The document comes as no surprise as the vehicle is road legal and with 840 hp and a 0 – 60 time in just 2.3 seconds, being the fastest production vehicle in the world, Dodge have to cover their backs. There will be only 3,000 vehicles produced with 300 for Canada, with a starting price of $86,090 with destination fee. ← Previous Story Is Fiat Chrysler Reviving The Barracuda Muscle Car?